For fifty years Law Interiors has been based in Potters Bar primarily supplying, manufacturing & cutting and installing worktops. We have always been in such demand for this due to the workshop facilities based at our site; making us more unique & skilled to your average interior company. We are also not only able to provide worktop services we can also provide made to measure units, drawer units and other items of furniture or modify existing units and doors for any alterations. 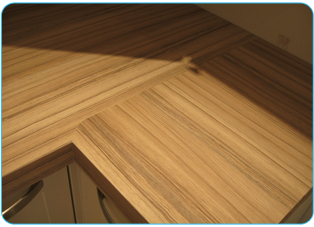 Along with modifications and cutting services we are able to provide worktop off cuts of various lengths and thickness's. This benefits any customers that may only need a small top and dont want to puchase a standard one. Come and visit the workshop for more information.